TO CELEBRATE #20 OF “STORIES FROM THE ROAD,” I’M GIVING AWAY A $20 AMAZON GIFT CARD. ANSWER THE QUESTION AT THE END OF THE POST CORRECTLY TO BE ENTERED TO WIN!! “Jimmy C. Newman was a Cajun from Louisiana. He was the real deal and spoke with a heavy accent. He was quite colorful and always wore the sequined Nudie suits. He was a big hit on the Louisiana Hayride and that’s where I first met him along with a fiddler named Rufus Thibodeaux. Rufus was one of those guys that could literally make the fiddle talk. I mean, form words. He was amazing. I tried for years to get Rufus to come and play for me, but he barely spoke English and wouldn’t stray out of his comfort zone. Anyway, I had booked Jimmy C. quite a few times and he and Rufus were a lot of fun. One time Jimmy C. came in from Nashville and Tom T. Hall had driven him down. Tom T. was trying to get into the music business. He was writing then for Jimmy Key at New Keys Talent. I knew Jimmy and Scotty Key back when they were here in Texas booking high school auditorium shows. Anyway, Jimmy was booking single at the time and asked if we would let Tom T. sit in, sing a few songs and play guitar. No one had ever heard of him yet, but we let him sit in. I thought he was okay and that he might just make it. Little did I know he would become a much bigger entertainer and songwriter than we could imagine with eleven number one hits and twenty-six more that reached the Top Ten. He wrote, “Harper Valley PTA,” that was a huge hit for Jeannie C. Riley. At the time, she was a secretary at New Keys Talent. If I remember the story correctly, they got her to record a demo of the song and they decided she was good enough they wanted to release it. I don’t know exactly how it went down, but that’s the way her uncle, Johnny Moore, from Anson Texas told the story. Well, of course, it took off from there and launched her career. Johnny Moore had a song called, “15 Acres of Peanut Land.” He and I were good friends. He didn’t like to play honkytonks (he was pretty religious) so if he got a gig he didn’t want, he’d pass it off to me. I’d do the same for him with rodeos and school dances. Anyway, he used to bring Jeanie C. around with him when she was sixteen and ask different bands to let her sit in. Her last name wasn’t Riley then. I don’t remember what it was. She sat in with us a time or two and I didn’t really think she had anything going for her. But, I’d do it as a favor to Johnny. Anyway, after I went to prison, I kept hearing this song, “Harper Valley PTA,” by this gal from Anson, Texas, Jeannie C. Riley. I wasn’t putting it all together. After all, it couldn’t be the same little Plain Jane Jeannie that had sat in with us. And, then I saw her on TV, and my God, she had changed immensely. She as “doin’ it” then, and was incredibly beautiful as well. But, it was her. It just goes to show how sometimes the whole key to success is being in the right place at the right time. Later on, after I got out of prison, Johnny Moore and another performer I always thought a lot of, Frankie Miller, came to Brady to play at a little Opry house and I heard it advertised on the radio. So, Jan and I drove over to the radio station where they were doing an interview and we renewed our friendship. It was so great to see both those guys still out there doin’ it. In 2001, Johnny invited me to be a guest at the annual Johnny Moore day in Anson. It was only the second time I’d been on stage in over thirty years. It was a great honor. Johnny remained a good friend and visited every time he came down from Nashville. CAN YOU NAME RICK’S ONLY NUMBER ONE SONG? PUT IT IN YOUR COMMENTS TO BE ENTERED FOR A $20 AMAZON GIFT CARD! Jonah stood on the sturdy wooden dock and scanned the horizon. He could make out the outline of the mainland. He’d attempted to swim it more than once only to be forced to turn back or die. Would today be the day the boat would arrive? Brown murky water lapped at the timbers and a scaled water lizard trolled for a morning snack. A low guttural growl turned him around. The feral creatures on this island were like none he’d ever encountered. Half animal and half-mythical, he discovered their weakness quite by accident and out of desperation. He strode down the dock, stopping to scoop up the golden dagger he’d left lying in the sand. He ran toward the creature screaming, dagger aimed at its heart. Perhaps it was the glint of the sun off the metal blade. Jonah didn’t know, but it worked every time. It now seemed like a lifetime ago that he was dropped in this godforsaken place. Had it been the right choice? He questioned himself every day. Maybe prison wouldn’t have been so bad. He scanned the horizon a final time before kneeling to light a fire. If he’d only known when the option had been given, he might have chosen differently. But, at the time, anything sounded better than being locked in a cement box buried in the ground. Sure, they’d given him the dagger and a few supplies. Everything else, he had to get on his own. And, it didn’t help that the island was covered with thickly tangled nettles that stung the skin when touched, flowers filled with deadly venom and blackbirds that swooped down without warning and pecked at his head. But, the creatures were the worst of all. He’d never forget the first time they showed themselves. Fangs that glowed red when they growled and claws like that of Eagles had sent him climbing the nearest tree despite the stinging nettles and prickly thorns. But, their claws allowed them to easily climb and he was left with no option but to run. It wasn’t until exhausted and unable to run anymore, he finally turned and drew his saber. He prepared to die. But instead, they backed down. With welts covering his body from the stinging nettles and sweat dripping down his face, he’d waded into the murky, muddy water. Strangely enough, the mud lessened the pain and he’d left his body covered with it for two days. Driven to construct some sort of shelter, he used his saber to cut branches and brush. That was the first day. He’d improved the shelter over the many days that followed. He kept track of time with marks on a piece of driftwood. It was now covered with thirty marks and he was still alive. Hi, everyone. I hope you enjoyed meeting Jonah. Will he survive long enough for the boat to arrive? What did he do to get exiled to this horrible and dangerous island? Join me on Sunday to find out more about him and this strange arrangement. 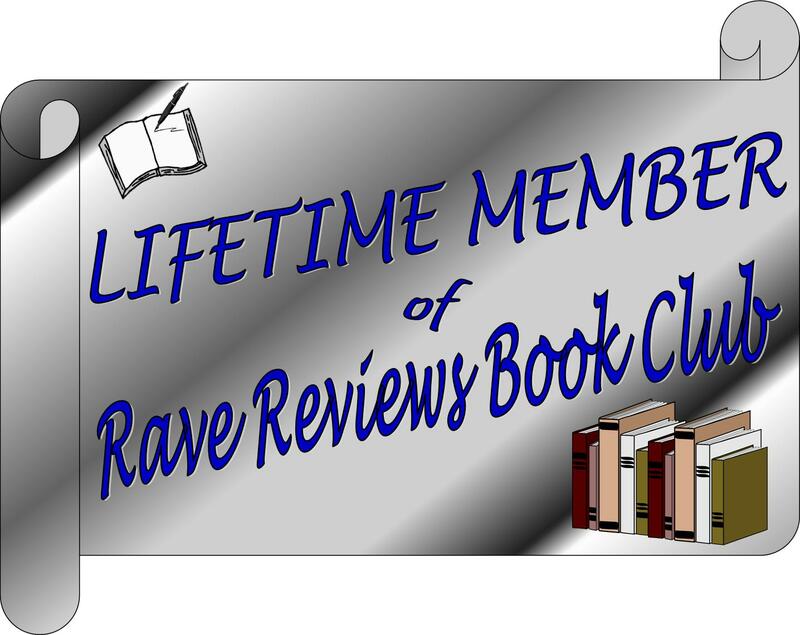 Author, Lynda Filler has shared her review of The Convict and the Rose! 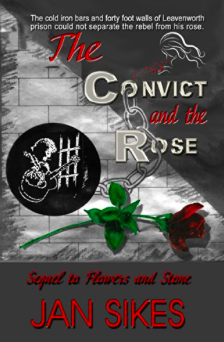 The Convict and the Rose On Amazon or through Jan’s website at the bottom of the page. Imagine an existence behind bars in Leavenworth Prison, and turning your life around so that you are able to create art and a musical legacy. This is an extremely personal, beautiful, sometimes very sad and yet uplifting memoir that reads like an edgy, intriguing novel. 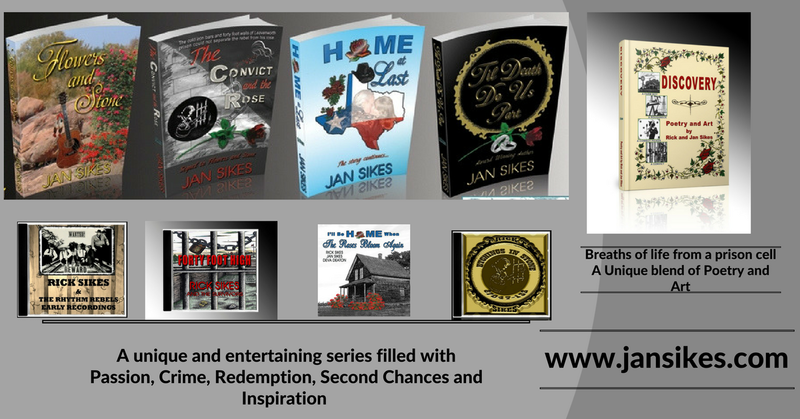 I wasn’t aware of what I was reading when I began the journey into the lives of a Convict(Rick Sikes) and his Rose(Jan Sikes.) 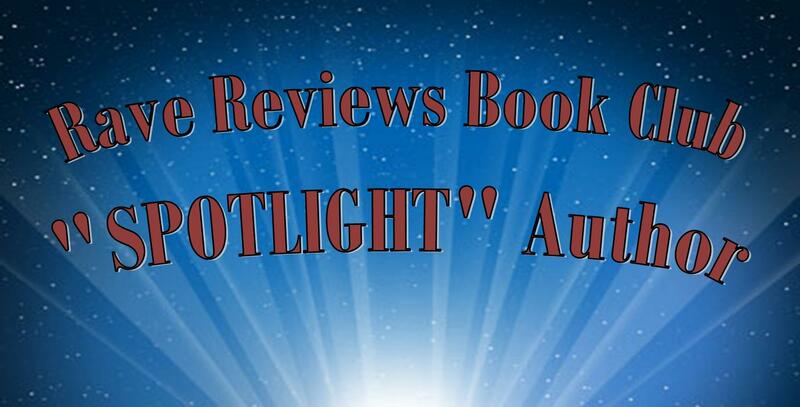 I hadn’t read much about the book, all I knew was the reviews were all 5 stars! 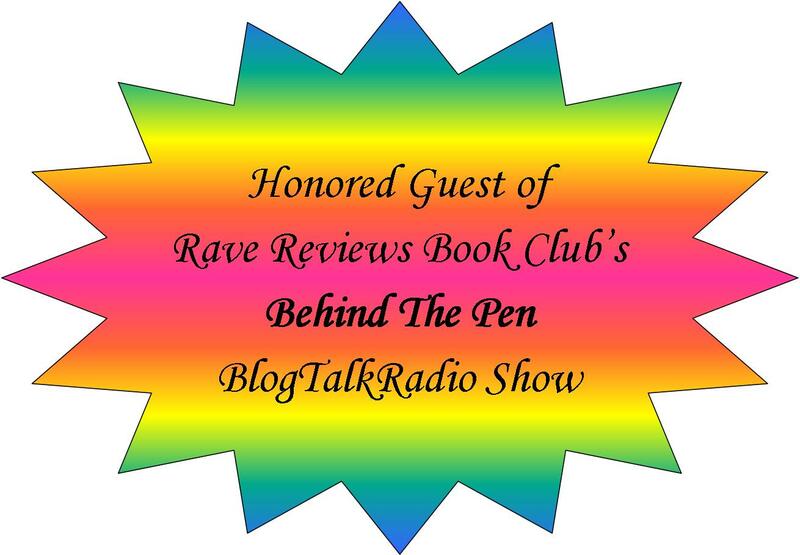 And everyone raved about the talented Jan Sikes, and that says it all. I can tell you that it’s not easy putting yourself out there in a memoir–imagine someone critiquing your life! But Jan has done it in this fascinating series. “I managed to rack up one #1 record in my early career. It was the strangest thing. My records were getting a lot of airplay in Europe around 1965 and the people in Denmark really liked my song, “Den of Sin.” It was a reverse tearjerker. The guy wasn’t upset because his baby was leaving, he was crying because she was coming back. It hit the charts in the number one spot in Denmark and charted in other countries and in the United States but never climbed to number one. I had several others make it up in the Top Ten, but none other charted in the coveted spot. At one time all of that was important to me. I was chasing a dream. I went to Nashville with a letter in my pocket written by Ernest Tubb, asking Nashville record executives to listen to my songs. I’d never have gotten in the door without his help and I was always grateful. He was a great man. When you’re a songwriter and someone tells you your songs aren’t good enough, it’s like telling a mother she has an ugly baby. But, I didn’t get upset. I had so much respect for him and for Ernest Tubb for setting up the meeting that I didn’t dare do anything to blow it. Well, I never made it back. I had record deals go bad. I had promoters promise the moon and deliver nothing. I had songs stolen and got cheated out of royalties. All part of the business, I suppose. I was slated to be picked up and managed by Tillman Franks once he got David Houston‘s career launched. David Houston went on to have several big hits and I got busted and sent to prison. I was always on the edge of doing something big and never quite getting there. I do believe I was my own worst enemy. Many thanks to Natalie Ducey for this wonderful review of Discovery – Poetry and Art by Rick and Jan Sikes. Today, I’m delighted to share my review for Discovery: Poetry and Art by Rick and Jan Sikes. I’m also honoured to say that I have a signed hardcover version of this beautiful collection of poetry and art. It’s a collection I often revisit; a testament to the treasure found within.